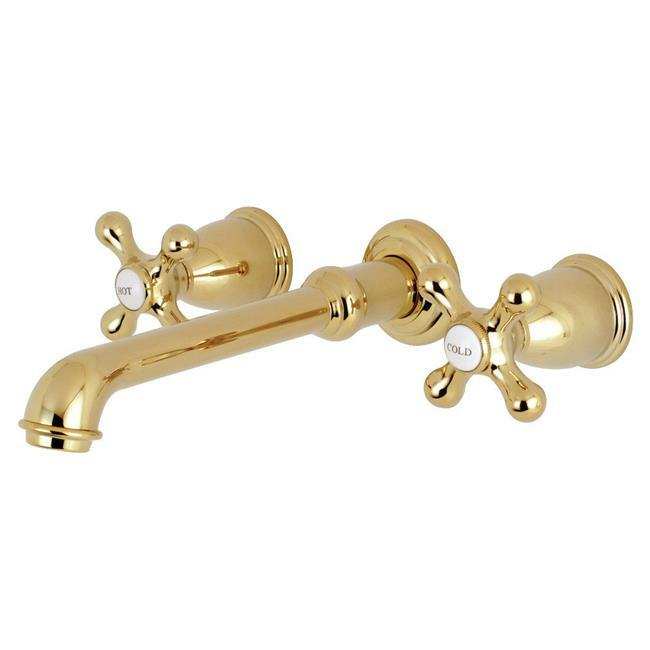 The Kingston Brass English Country double-handle Roman Tub Filler is designed to add traditional glamour to your bathroom and complement a variety of classic decor schemes. The brass material insures long-lasting use and enjoyment, included is a ceramic disc cartridge providing smooth handle operation and drip-free performance. With sleek lines, a straight spout and soft curves, this tub filler is constructed to add convenience to any space within the bathtub.